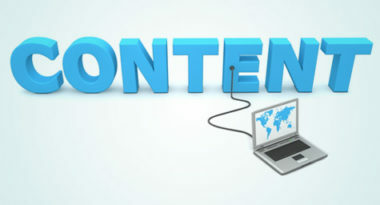 There has long been a strong relationship between SEO and content marketing. Marketers agree that content is critical for lead generation, while search is the key to driving new leads by maximizing the visibility of that content. Now that new search algorithms have put a premium on original, relevant, and timely content, the alliance between SEO and content is more vital and valuable than ever. To help online marketers get the most from their SEO-focused content marketing, MediaPost.com offered the following smart strategies. 1. The Challenge of Content Behind a Registration Wall – These restrictive walls can be tricky because they go beyond blocking unregistered users to obstructing the content from being indexed by search engines. To alleviate the issue, marketers must use a conditional statement that treats search engines like registered users. By implementing this user-agent detection method for a search engine bot, search engines can get past these registration walls and index the protected content. Still, this method should only be used when necessary since appearing to provide content to only search engines rather than all viewers could provoke problems from search engines. 2. The Value of Video – Despite its popularity, video content is not as detectable as written content for search engines since search robots are unable to understand the personal messages of the videos. To increase their readability, marketers can host each video on a separate Web page and include some text that describes the video as either brief written content or a full transcript. It can also be useful to create a Video XML Sitemap map and register it with Google and Bing. 3. The Importance of Infographics – Similar to videos, this trendy content is not easily read by search engines. Still, marketers can optimize their infographics by featuring each image on a separate Web page accompanied by user navigation, as well by adding written content in the form of a title or text describing the content within. Finally, it can be helpful to feature a smaller version of the infographic on the Web page with a link to a larger version on a separate page. 4. The Power of PDFs – Marketers love how PDFs can be easily indexed by search engines, but there are several ways to increase the SEO value of the content. Most importantly, be sure that the keywords appear in the PDF copy. In addition, add links inside the PDF document since PDFs do not have the global navigation required to link readers back to the content’s website. SEO and content marketing are a power pair. Marketers must harness their collective power to enhance content visibility in order to achieve optimal reach and results for their online efforts. To discover the latest ways to use SEO and content marketing to enhance your digital marketing strategy, contact MDG Advertising. Print Advertising is Dead? Not So Fast. Our success is measured by yours. We're committed to delivering exceptional and measurable results. Subscribe to receive marketing advice, inspiration & insights.